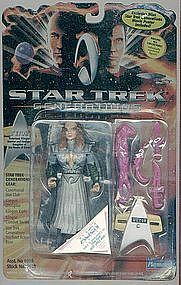 This the the B'Etor action figure from the movie "Generations". Small wear on edges. Collector number #062056. Priority Mail available.